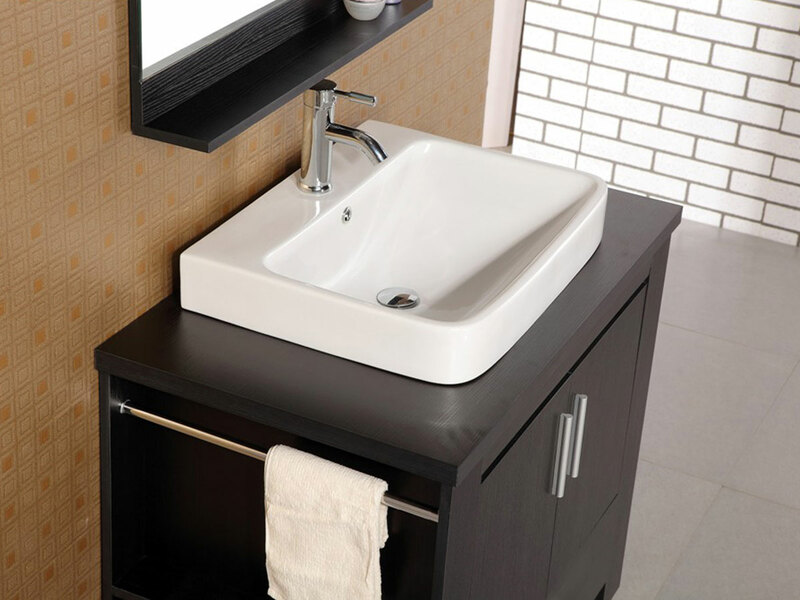 The Washington Single Vanity features clean lines and a minimalist design that is ideal for a modern bathrooms. The white porcelain vessel sink starkly contrasts the vanity's espresso finish for an eye-catching look. The cabinet itself is sturdily constructed from solid plywood panel, preventing it from warping or cracking over its lifetime. Storage space is available in the cabinet and drawer underneath the sink, the towel bar at the side of the vanity, and the matching mirror frame's shelf.